Do you have an Iron Man (or Avengers) fan living at your house? These fingerless gloves will make the perfect gear for your little superhero to wear while crime-fighting and playing! 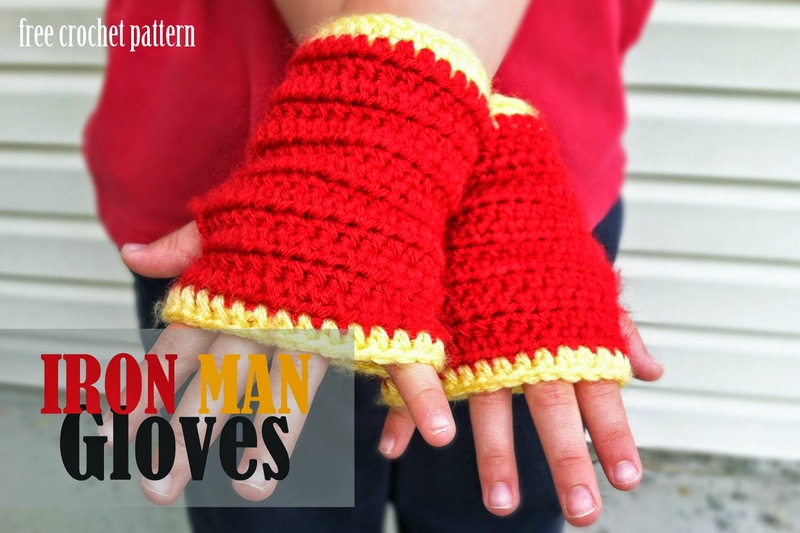 Crochet a pair of Iron Man gauntlets in any size by simply increasing your base chain to be long enough to fit around the wrist of your superhero and follow the rest of the free pattern. 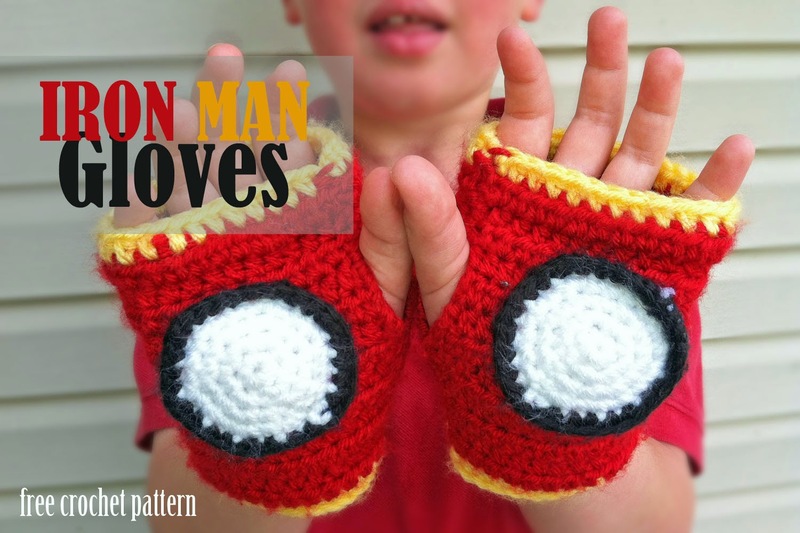 Simple, easy, and fast to crochet - these superhero gloves will save the day! Row 1: Half double crochet in second chain from hook and in each chain across, turn. Row 2: CC to red and chain 2. Hdc in each stitch across, turn. Row 3: Chain 2. Hdc in each stitch across, turn. Row 4 – 14: Repeat Row 3. Row 15: CC to yellow and chain 2. Hdc in each stitch across. Fold two sides to line up together, with the right side of your crochet facing inwards. This should also cause your applique to face inwards as well. Line up your colors (red and yellow) as close as possible. 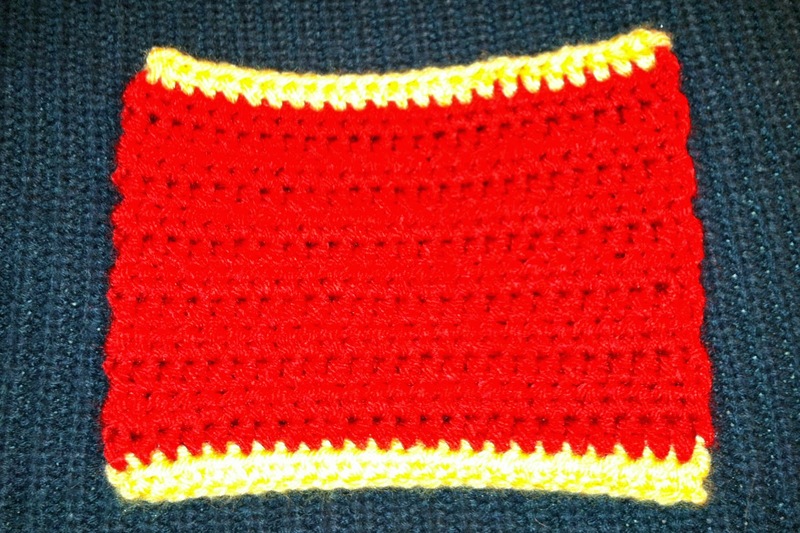 Now, using red yarn and a yarn needle, sew the two short sides of your rectangle together. 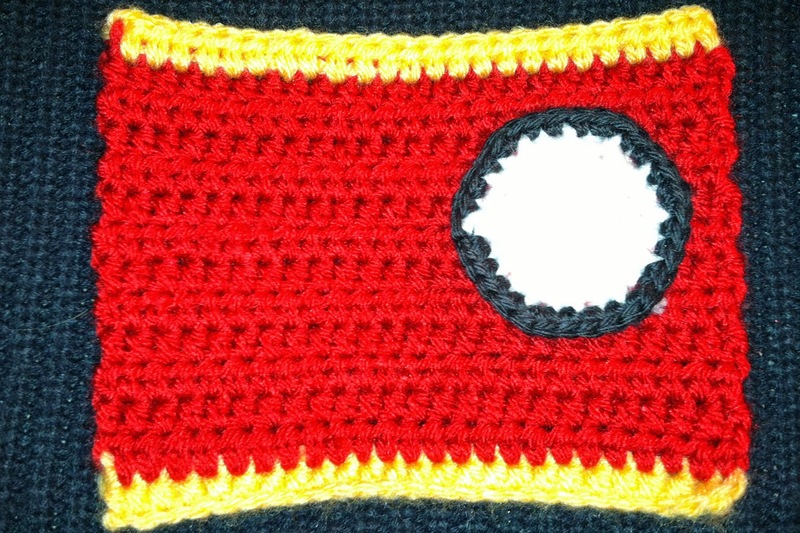 About 1 – 2 inches from the top of rectangle (be sure to check where your circle applique is positioned) leave a 1 – 2 inch gap for the thumb-hole. Finish sewing sides together, finish off and weave in any loose ends. Turn right side out and wear! *Extras: if you are crocheting this glove for younger or older children, simply decrease or increase the original chain length to fit their wrist (about 1 inch below the crease at bottom of palm should do it). *Bonus: I have already had to wash my little superhero’s gloves twice and the good news is – they hold up really well in the washing machine!